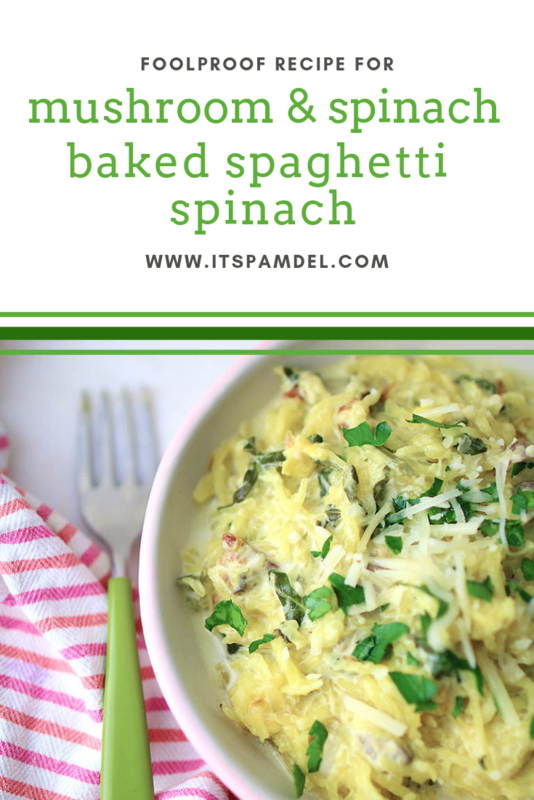 So I’ve been sneaking spaghetti squash into every dang recipe, making the ole’ spaghetti squash switch when it comes to pasta & seeing how far I can go with shoving baked spaghetti squash at my kids in different forms. 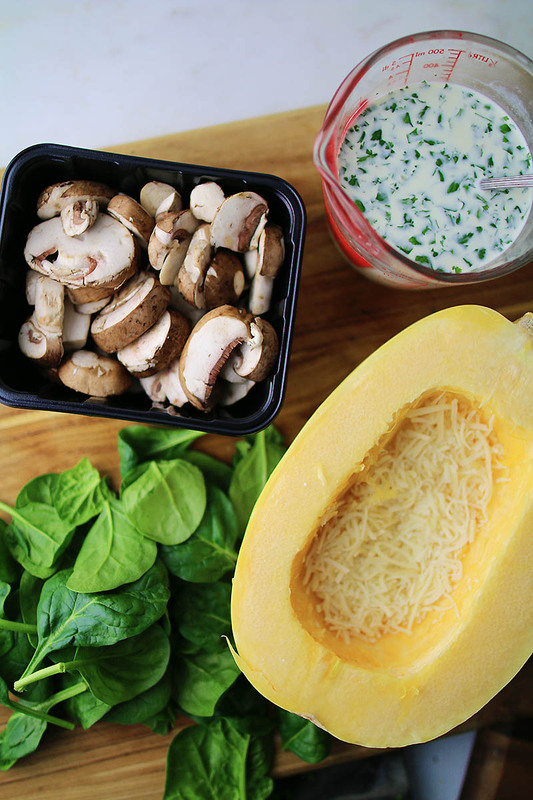 Sooo here we are with the mushroom & spinach baked spaghetti squash that I can’t get enough of. 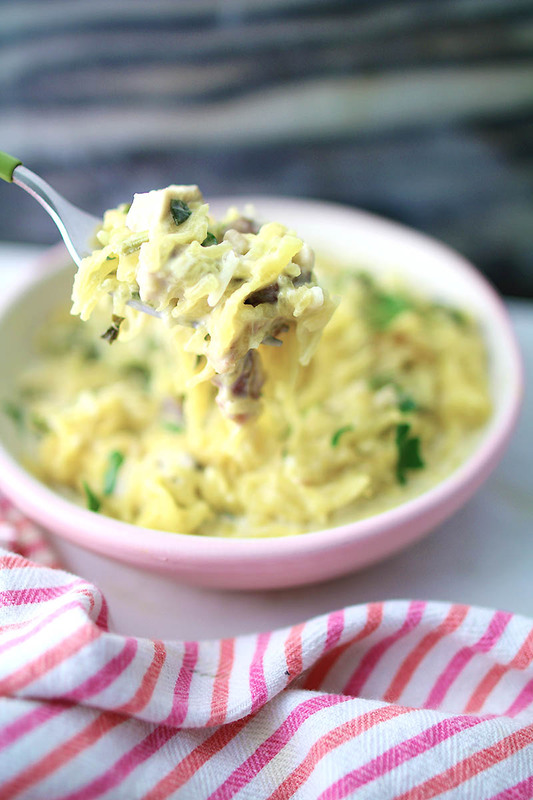 I just love sharing recipes from my families table to yours that are easy & delicious! Preheat your oven to 400°F. 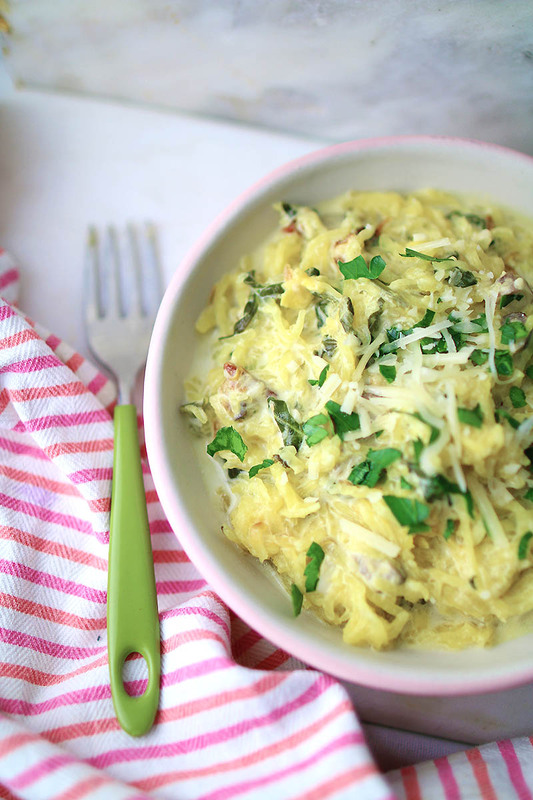 Grab your spaghetti squash firmly & cut in half length-wise and scoop out the innards and seeds. Cut a sliver off the backside to keep it stable on the baking sheet. In a measuring cup take 1/2 c water & bouillon cube microwave for 30 seconds until dissolved. Combine minced garlic, parsley, mushrooms and heavy cream with the water/bouillon. Mix well. 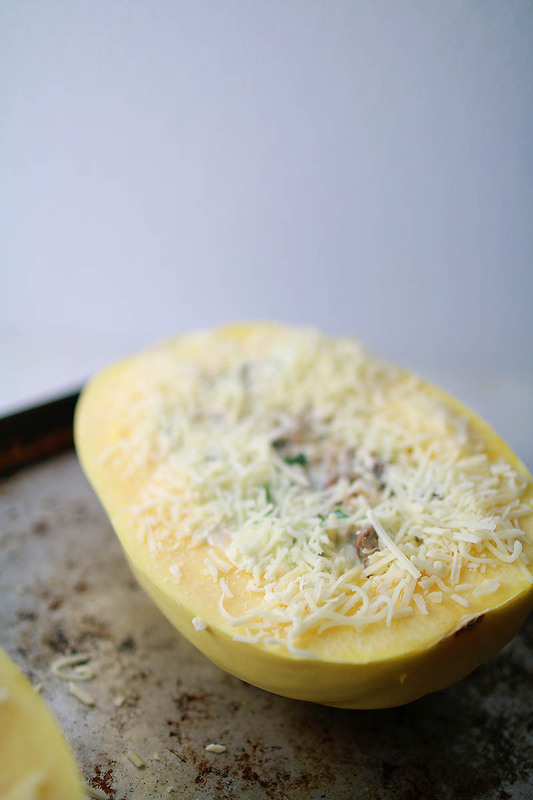 Sprinkle a first layer of cheese in the cavities of each squash halves. Top with spinach leaves. Divide the cream mixture into each half, top with additional cheese. 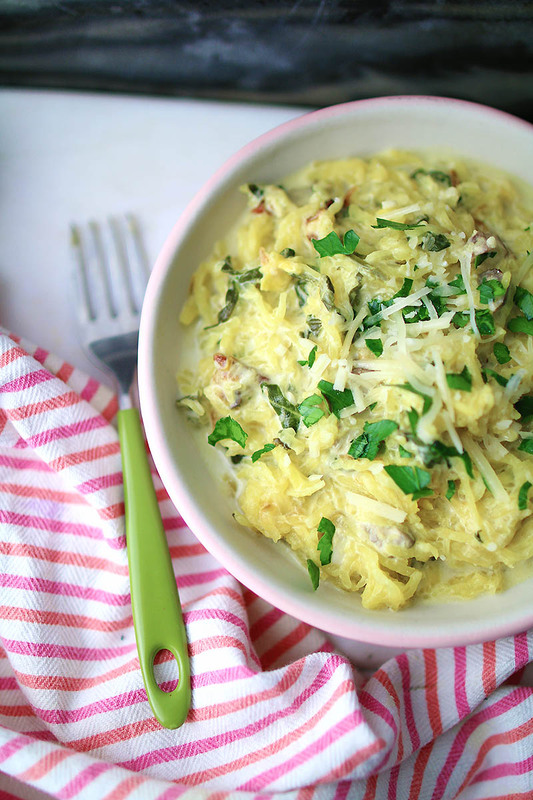 Roast in the oven for 40 to 50 minutes, or until the flesh of the spaghetti squash is very tender when poked with a fork. Pour liquids & scrape insides into a bowl, mix well. This has been a great meal to pair with a rotisserie chicken picked up on the way from work, shove the squash in the oven & get other things done while it cooks away. If you’re looking for more recipes head on over here for more easy recipes that your family will love.